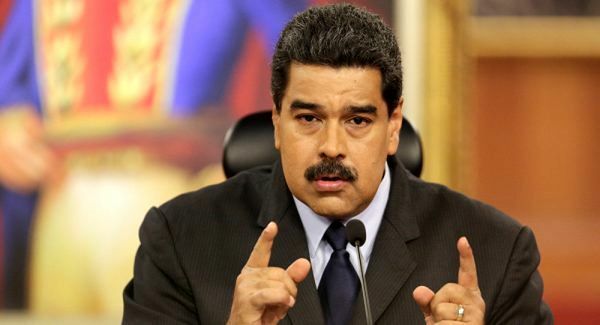 EghtesadOnline: Venezuela’s embattled President Nicolas Maduro rejected an international ultimatum to call elections within eight days and said opposition leader Juan Guaido had violated the country’s constitution by declaring himself leader. Maduro, in an interview with CNN Turk aired on Sunday, also said he was open to dialogue and that meeting U.S. President Donald Trump was improbable but not impossible. The broadcaster dubbed the interview from Spanish into Turkish. Washington, which has recognized Guaido as leader, had on Saturday urged the world to “pick a side” on Venezuela and financially disconnect from Maduro’s government. Venezuela has sunk into turmoil under Maduro with food shortages and protests amid an economic and political crisis that has sparked mass emigration and inflation that is seen rising to 10 million percent this year, Reuters reported. Maduro retains the loyalty of the armed forces, though Venezuela’s top military envoy to the United States on Saturday defected to Guaido.